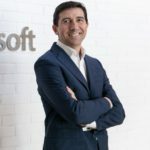 I have the honor and the privilege of being the Director of Cloud and Enterprise at Microsoft Portugal and being in the center of breakthrough technologies. I am also a Professor at ISCTE-IUL (Lisbon University Institute), where I teach the architecture of several cloud technologies to MSc programs. Above all I am tech enthusiast with passion to learn, teach, innovate and help people in organizations embracing digital experiences to innovate, stay competitive and drive growth and I feel very fortunate to be in the technology industry assisting the impact that technology is having in our global society and economy. Raiffeisen desenvolveu um chatbot assim que pode manter-se competitivo e melhor servir os seus clientes. Reforçámos o nosso compromisso de computação cloud na Europa. O Retalho e o RGPD: A sua estratégia de dados está em conformidade?